The minimum dual spacing measurement is determined by the tyre manufacturer and may also be obtained from the Tyre and Rim Association of Australia standards manual. 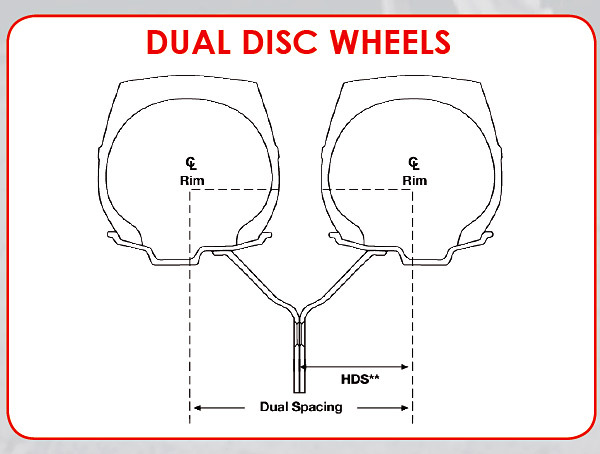 Half dual spacing (HDS) is provided in Mullins steel disc wheel size data. Maintaining proper tyre inflation and load ratings are essential to maintaining proper minimum dual spacing.